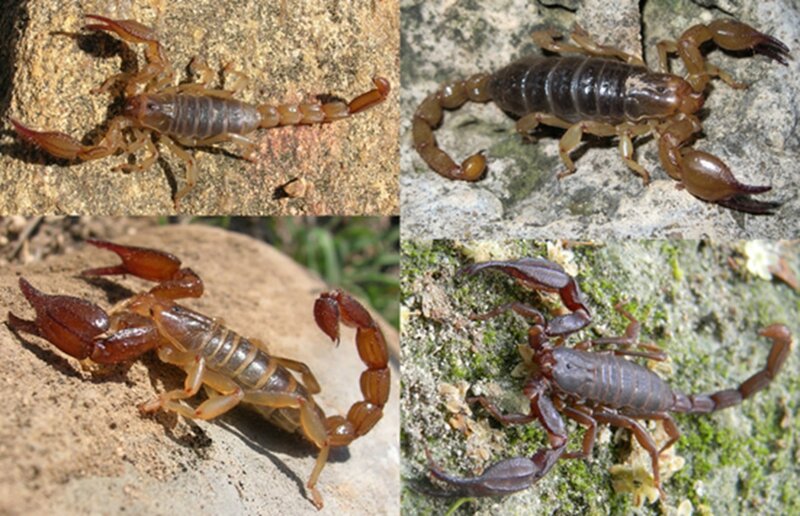 Morphology still plays a key role in the systematics and phylogenetics in scorpions. 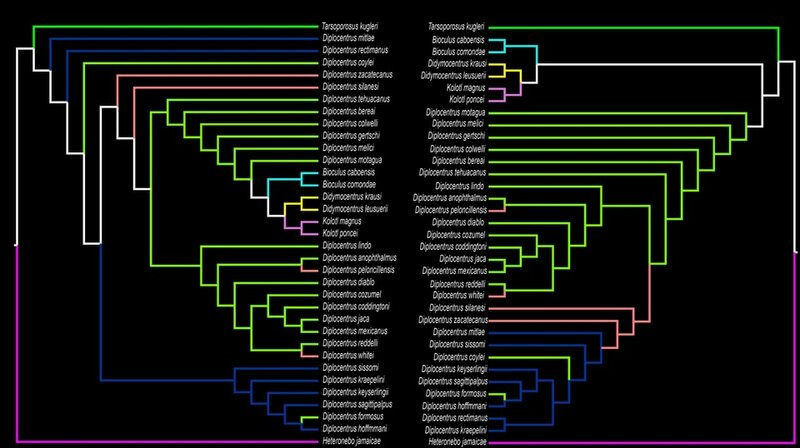 On the other hand, unfortunately, molecular data is scarce, preventing the study of the evolution of morphology within scorpion families. 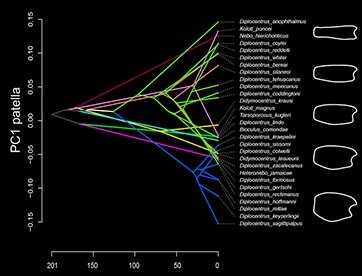 I examined, with Prof. Prashant Sharma and with Dr. Ricardo Kriebel, the morphological evolution of several key characters systems in one scorpion family: Diplocentridae. These scorpions are fossorial exhibiting morphological variation in pedipalp morphoscultpture, size, and other continuous characters. Top-left, Diplocentrus rectimanus; top-right, Diplocentrus formosus; bottom-left, Diplocentrus ferrugineus; bottom-right, Diplocentrus taibeli. Not in scale. 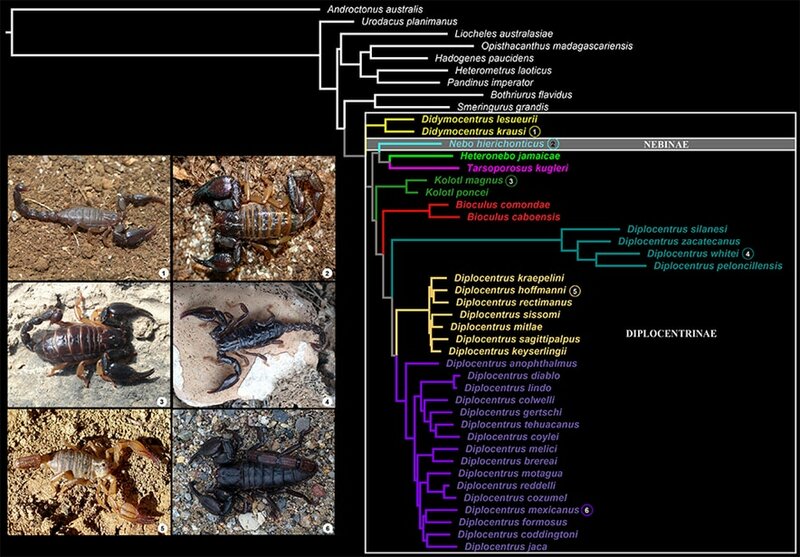 First, we reconstructed the molecular phylogeny of these scorpions using exemplar taxa from seven genera and 36 species. 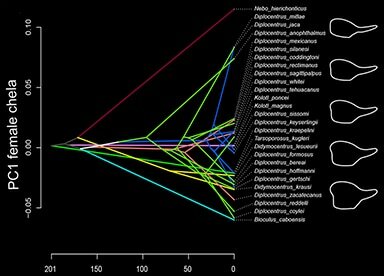 Based on our topology, the monophyly of subfamily Diplocentrinae was not recovered because genus Nebo was placed nested within. Thus, Nebinae is synonymized with Diplocentrinae. 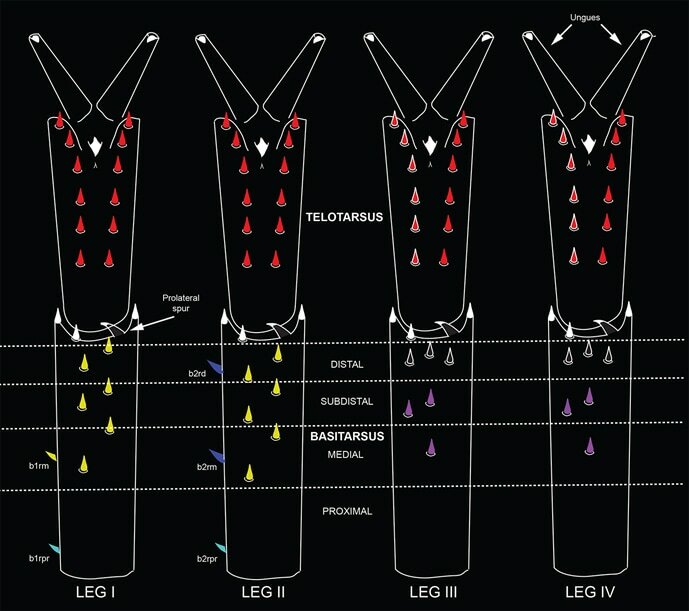 ...and (d) we establish new tarsal armature character systems; in which each color means independent character systems, useful at different hierarchical taxonomic levels.